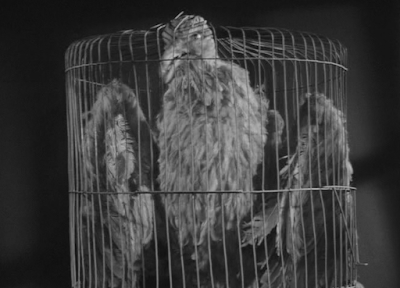 Godzilla Island: Ultra Q Review: Episode 12 I Saw a Bird! Shortly after the zoo attack a mysterious pirate like ship appears in the port of a small town. When everyone goes to investigate the boat all they find is an empty ship, with a few books, and a little white bird flying around. The ship begins to shake so the investigators begin to flee the ship as they leave the ship it just crumbles and sinks to the bottom of the sea. After investigating one of the books that they managed to salvage from the ship they discover the one of the last entries is "I saw a bird" the reporter then says that she did see the little white bird on the ship and wonders if that has anything to do with it when the professor hears this he begins looking for his bird books to see if they can determine the type of bird. Meanwhile a boy from the village stole a boat to take to his little secret club house he built when he arrives he notices the small white bird that was on the ship. The boy begins feeding the bird and the bird soon grows a liking to him. When the island fishermen find out one of their boats had been stolen they group up and find the boy. The boy is woken by the angry fishermen and they drag him on to there boat so that he can come home. The boy is not pleased with this and begins screaming that he doesn't want to go home, when the bird sees the boy in distress he begins attacking the fishermen and they flee. Meanwhile back at the professors office it is determined after looking through many books that this bird is an ancient species of birds known as Larugeus that can grow very quickly. They report this finding to the authorities and begin to seek out the bird. The boy now cocky that he has a bird that can defend him decides to chase the fishermen back to the town with his bird to scare them. 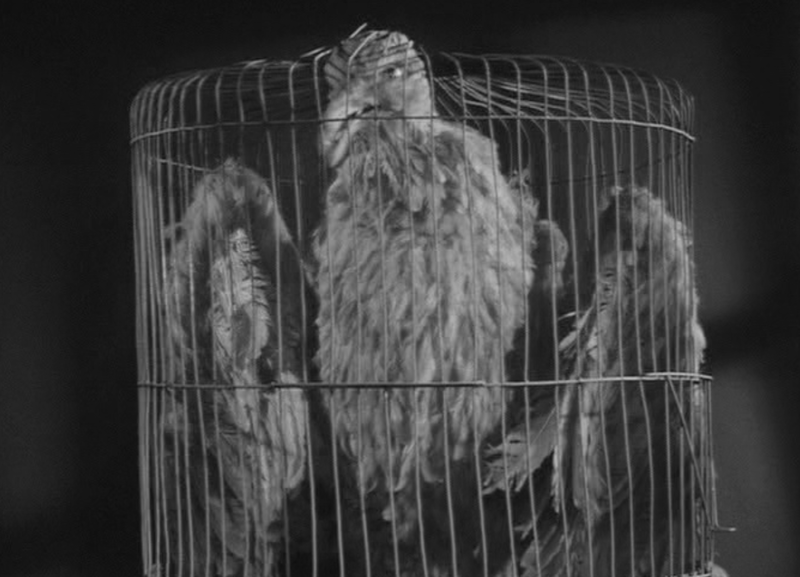 When he arrives the authorities are waiting and manage to capture and cage the Larugeus. Not knowing where to put the caged Larugeus they place it in a jail cell with the inmates for the time being. Larugeus begins to get angry that it has been caged and soon rapidly grows becoming a massive creature. The Larugeus begins to fly out towards the sea but not before leaving a path of destruction in it's wake as it flies over cities and villages. The boy got to see the Larugeus one last time as it flew over and vanished in the horizon. This episode was pretty good Larugeus is an interesting kaiju since it has the ability from being a tiny bird into a giant bird then back town to a small bird again. The way this episode ends makes you think that Larugeus can once again appear in a later episode ,but I do not believe that Larugeus actually does appear again. The idea behind Larugeus was great and Ultra Q continues to impress.